The following is a guest post by Francisco Gutierrez. 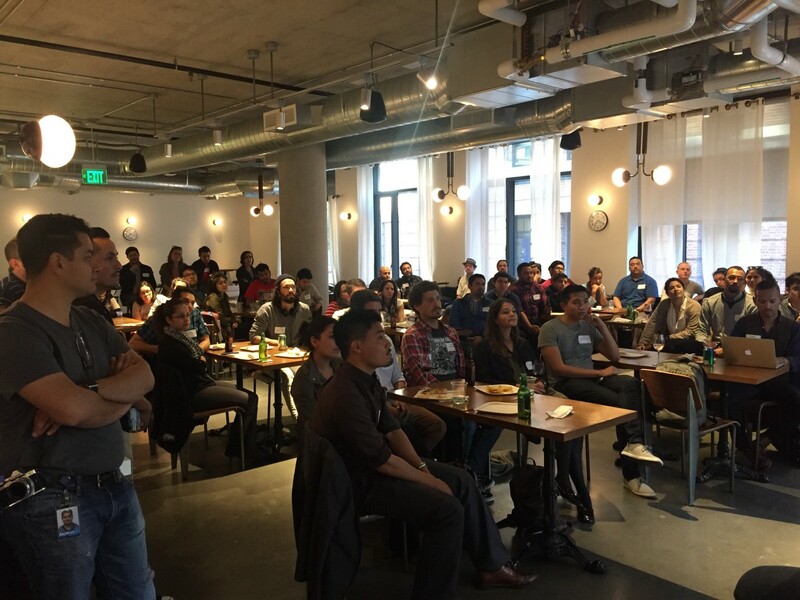 On May 25th, Techqueria hosted an event with around 120 attendees about the intersection of Tech and Immigration at Dropbox HQ. We addressed what it is like to be an immigrant in the technology industry and how legal tech professionals are leveraging technology to keep up with the changing immigration landscape. They joined us to answer questions on the main stage and carefully judge our attendees’ products and startups in the immigration space. The content in the event is maintained confidential, but we’re excited to highlight some of the best parts of one of the most important events this year. Manuel Roa talked about his organization’s (Airbnb) efforts to help refugees and other immigrants not allowed into the United States, a by-product of Trump’s executive order, find free housing. Jennifer Gonzales also shared that the tech industry has an incredible amount of financial and political weight to talk about immigration in a meaningful way, but currently encourages the bifurcation of H-1B visa holders and “bad immigrants.” She added that the avenue that immigrants chose to take when migrating is arbitrary to their circumstances and available resources. Silvia Li Sam shared her story as an immigrant of Peru and how her work in the education nonprofit space reminds her of how much work needs to be done for Latinxs in the United States. Li Sam highlighted the importance of working in tech for good and told us that “there’s an opportunity for the tech industry and its members to have more empathy and learn more about the immigrant experience.” Shen then proceeded to judge some of the legal tech startups in the audience providing also marketing and growth feedback. The panel surfaced after Dropbox web developer and Techqueria member, Abraham Velasquez proposed hosting an event at the Dropbox office. Given his personal ties to immigration (Abraham migrated to the U.S. from Mexico at age 5). We hope to continue to discuss similar topics, and encourage Techqueria members to suggest event ideas or spaces where we can host future events!